The deadline to register and pay online is 2 pm the day of the event. PLEASE READ THE ENTIRE EVENT DESCRIPTION. There is a cover charge for this event. A “YES” RSVP on our meetup site does not confirm your reservation. Space is limited. Please only RSVP “Yes” if you will be attending. Take advantage of early responder pricing! Slots are limited. First come, first served! In order to attend, you must register and pay via Eventbrite. Or, pay $25 (cash) at the door. A distinguished panel will hold a lively discussion on the latest innovations in fintech and investment in fintech. Please come with questions and comments. Gopi Rangan is the founder and General Partner at Sure Ventures, an early stage venture capital fund investing in InsurTech startups. The mission of the firm is to enable peace of mind for individuals and businesses. Portfolio: Blitzz, Decent, Hi Marley, Mile Auto, Rocket Dollar and SpotAngels. Gopi is also an Adjunct Professor of Entrepreneurship at INSEAD. Gopi has an M.B.A. from INSEAD, an M.S. in Electrical Engineering from Arizona State University, and a B.E. degree in Electronics and Communication Engineering from Coimbatore Institute of Technology in India. He serves as a Board Member at Achieve Kids, a non-profit school for students with developmental challenges. Jordan Wahbeh partners with startups and investors to grow, scale, fund raise and achieve their objectives through operations, fundraising, business development, product development, and team leadership. As an experienced leader and advisor, he assists or leads in business operations and development, market growth, org transformation, and customer management. As a Partner at Andra Capital, and Bay Angels’ Managing Partner, Jordan has a strong network of resources and SMEs along with a varied portfolio of startups companies. His engagements include VCs, Angels groups, Accelerators, and Corp VC in Silicon Valley, across USA, Korea, Dubai, Brazil, MENA region, and EC. With 20+ years’ hands-on and leadership experience, he is quite skilled in engineering, business, SW development, IT, Hi-Tech, customer management, AI, Big Data/Analytics, Industrial IoT, and manufacturing. 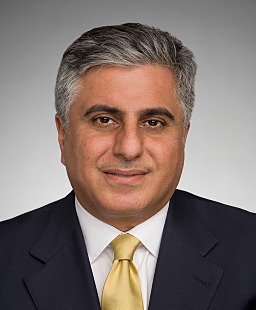 Arman Pahlavan is a corporate attorney and partner at the Perkins Coie’s Emerging Companies and Private Equity groups in Palo Alto. He advises venture capital and private equity funds and their portfolio companies across their legal needs. He counsels them on mergers and acquisitions, corporate finance, intellectual property transactions and fund formation matters. Arman has extensive experience advising clients with emphasis on cross border transactions for corporate clients and in his investment company practice. His knowledge runs across industry lines including operating in the software information technologies, life sciences and energy. By attending Idea to IPO events, you understand that you may be photographed or videotaped. You agree to allow your photo, video, or film likeness to be used for any legitimate purpose by the event hosts, producers, sponsors, organizers, assigns, and/or by anyone involved in the event in any capacity. This includes usage on social media platforms. Refund requests must be made at least 24 hours in advance of the event.